A cautionary tale from the Court of Appeal why court procedure must be followed! 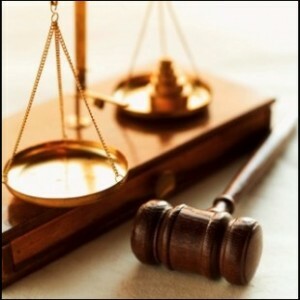 Are you a being sued in a civil lawsuit? Are you unsure of how to navigate the legal system? If you answered ‘yes’ to both of these questions then you need to contact a Civil Litigation Lawyer in Vancouver. As a word of caution, a recent Court of Appeal decision, Andrews v. Clay, 2018 BCCA 50, confirmed that compliance with the rules of court is not optional. One of the defendants in this case, Mr. Andrews, appealed the dismissal of his application to set aside a default judgement entered in a Small Claims Court action for failing to attend a mandatory mediation. The Court of Appeal dismissed Mr. Andrews appeal. On November 10, 2012, Linda Clay filed a Notice of Claim in the Provincial Court of British Columbia (“Small Claims Court”) wherein she claimed $18,822 against three defendants one of whom was Mr. Andrews. Her claim was for breach of contract relating to commissions owed for an Italian tour Mr. Andrews marketed to travellers. Mr. Andrews filed a Reply to the claim in which he asserted that the relevant contract had been entered into with an entity identified as Italian Visits Travel Inc. In accordance with the Small Claims Rules, a Registrar of the Small Claims Division issued a notice of mediation to both parties. 6) Mr. Andrews applied to the Provincial Court for an order setting aside the default judgment and in support of his position he filed an affidavit that only reiterated his defence with no proof of his position. The Provincial Court judge dismissed Mr. Andrews’ application to set aside his default judgement, because he had deliberately failed to attend the mediation and he did not provide any evidence that a limited company had been involved in the transaction. Following the Provincial Court’s ruling, Mr. Andrews sought judicial review of the Provincial Court’s decision. Another judge determined that the Provincial Court judge did not make an unreasonable decision and Mr. Andrews had not been denied his right to procedural fairness. 2) Whether the chamber’s judge erred in holding that the decision of the Small Claims Court under review was reasonable. The Court of Appeal determined that the standard of review of the Provincial Court’s decision was reasonableness, which meant that deference was given to that judge who did not set aside the default judgment ordered against Mr. Andrews. With regards to the second issue, Mr. Andrews did not provide any substantive evidence before the judge hearing his application that his defence of corporate status had any merit. Therefore, the Provincial Court judge did not “cut off his reply submissions.” The problem was that Mr. Andrews did not supply any evidence on which the judge could conclude that there was any merit to his defence. For these reasons, the Court of Appeal dismissed Mr. Andrews’ appeal. If you are being sued, contact the Goodfirm immediately in order to ensure that no default judgements are taken out against you and you are in compliance with court procedure. Click here to obtain your free consultation.